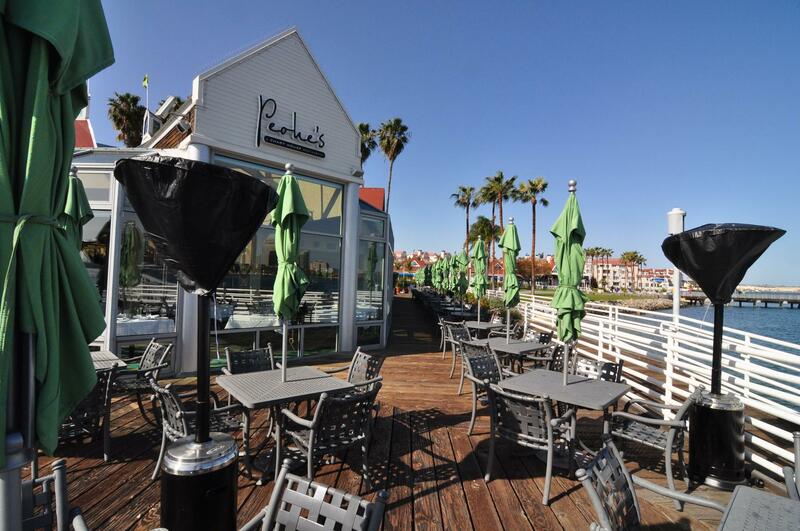 Rent Peohe's Coronado Island | Corporate Events | Wedding Locations, Event Spaces and Party Venues. With spectacular views, delectable cuisine and impeccable service, Peohe's specializes in hosting unforgettable affairs, including rehearsal dinners, weddings, corporate events, group meetings, holiday parties and other social occasions. Wedding Packages include a champagne or cider toast, butler passed hors d'oeuvres, soup or salad, entree,coffee, tea and soda and the first hour of liquor service depending on which package you select. You add the next 3 hours of the same liquor package service at an hourly rate for a 4 hour event time. - Evenings: (4 hour events start any time after 5 p.m ., end by 11 p.m) Monday - Thursday evenings: $7,000.00 + banquet fee and tax. Saturday Evenings $10,000.00 + banquet fee & tax (May 3 – Sept 7) $12,000+. 3. Menu and details are due two weeks prior to event. 4. Two-hour event time limit for non-private events. (Crucial during weekends and busy days/nights).